Yesterday evening, four W&N debut authors formed a panel at the tenth Chorleywood Literary Festival, organized by the wonderful Chorleywood Books. 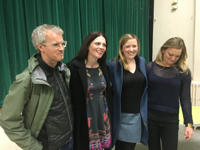 Catriona Ward (Rawblood), Colin Macintyre (The Letters of Ivor Punch), Laura Barnett (The Versions of Us) and I, chaired by Morag Watkins, talked about our novels, about getting published and about our writing process, sustained by prosecco, nibbles and a fabulously attentive audience. Meeting readers is always a privilege, and together the four of us have appeared at Bradford Literary Festival, a garden party in Frinton on Sea, Waterstones in Covent Garden and in Cambridge, and Lutyens and Rubenstein’s beautiful bookshop in Notting Hill. Last night was particularly significant, as it was the final event in our current schedule. Since our first event back in May, when Rawblood was only available in proof, wonderful things have happened. 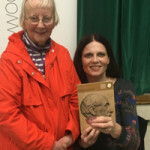 Colin won the Edinburgh Book Festival First Book Award. Laura spent five weeks in the Sunday Times top ten. 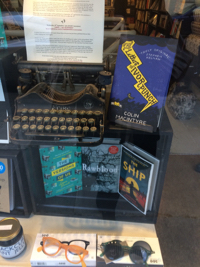 In September, Rawblood appeared for real in a beautiful, haunting hardback after a marvellous launch party at Daunt Books in Marylebone and is set fair to terrify many a reader as the winter draws in. 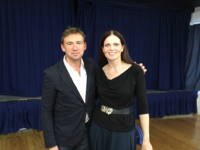 I interviewed David Nicholls for an event at Chorleywood Books recently. Conversation turned (among many other things) on David’s screenplay for Far From the Madding Crowd, and upon Tess of the D’Urbervilles, the novel that inspired One Day. 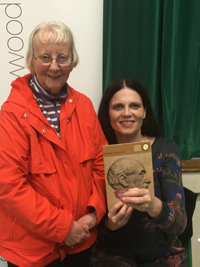 I discovered Thomas Hardy when I was a teenager and fell head over heels in love, so to share that passion with a writer of David’s stature was a privilege indeed. At the signing afterward, an audience member came to tell David about her stepfather’s mother, who had been in service at Max Gate at the turn of the century. While David continued to sign, I was lucky enough to have a conversation with Jill. It was the icing on an already perfect cake. Thank you, Jill. I will treasure them, and not just for their connection with Thomas Hardy. 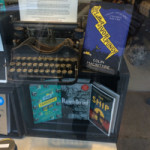 They’ll speak of your generosity, and always remind me of a local independent bookshop at the heart of a community, of the support of readers for new writing, and of the abiding power of story in the drawing together of human hearts.